SHOULD PASTORS preach politics from the pulpit? Or should houses of worship be kept rigorously politics-free? Compelling arguments can be made both ways. Religious leaders should answer for their words and deed to a higher authority — higher, even, than the IRS. On the one hand, it is the role of religious leaders and churches to guide and instruct their flocks — to articulate the spiritual values that believers are expected to uphold and to show how those values apply in every area of life. Clergy at churches, synagogues, and mosques have always spoken out on issues affecting their worshipers and the larger society. Many of the most transformative causes in American history — independence from England, the struggle against slavery, opposition to abortion, the civil rights movement — were shaped by the involvement of religious leaders. On the other hand, millions of Americans believe strongly that a house of worship is no place for politics, and that clergy trivialize the word of God by trying to make it fit a partisan template. The teachings of Christianity (or Judaism or Islam or Hinduism) are not Republican or Democratic. There are religiously devout liberals, and there are religiously devout conservatives. They can often be found sitting in the same pews and listening to the same sermon, and many would be livid to hear their spiritual leader deliver an overtly "red" or "blue" message from the pulpit. In a 2012 survey by the Pew Research Center, two-thirds of respondents said houses of worship should not endorse political candidates. But while the pros and cons can be debated, federal law long ago settled the question as a matter of law: Nonprofit charities, including religious organizations and houses of worship, are not allowed to endorse politicians or take sides in elections. According to the IRS, because churches are exempt from paying taxes under the Internal Revenue Code's Section 501(c)(3), they are "absolutely prohibited from directly or indirectly participating in, or intervening in, any political campaign on behalf of (or in opposition to) any candidate for elective public office." A church violating that ban can have its tax-exempt status revoked. The prohibition has been in the tax code for more than six decades. It was an act of payback engineered in 1954 by then-Senator Lyndon Johnson after a couple of tax-exempt organizations in Texas published and distributed pamphlets opposing his reelection bid and urging support for the Democrat challenging him in that year's primary. Under the Johnson Amendment, tax-exempt charitable organizations would henceforth be barred from endorsing or opposing any candidate. LBJ wasn't targeting houses of worship. But freedom of speech and expression in houses of worship has been inhibited ever since by Johnson's act of retribution. Legislation was introduced in Congress Wednesday to soften the Johnson Amendment by allowing 501(c)(3) institutions to make overtly political statements as long as it's done "in the ordinary course of the organization's regular and customary activities." Religious and other tax-exempt groups would still be barred from contributing money to campaigns or political parties. But ministers or rabbis or imams who wished to sing the praises of one candidate or speak out bluntly against another would be free to do so without having to fear Washington's wrath. Hillary Clinton and Donald Trump both took their campaigns to Sunday-morning pulpits, their hosts undeterred by the threat of IRS action. But so long as the Johnson Amendment law remains on the books, the threat of retribution is real. 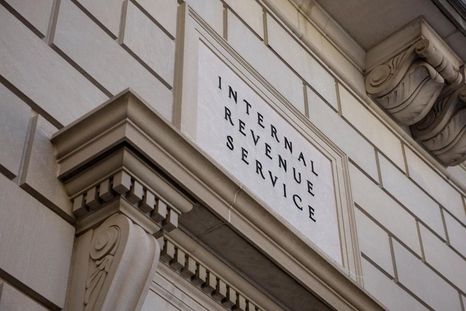 The bill, dubbed the Free Speech Fairness Act, "would essentially get the IRS out of the speech police business," says Erik Stanley of the Alliance Defending Freedom, a religious-liberty legal defense group. The legislation's purpose isn't to encourage political speech in houses of worship — only to once again make the option clearly legal. It is unconstitutional, Stanley argues, for the IRS to have "the power to monitor, censor, and punish a pastor for something he says from the pulpit." In truth, examples of overt politicking in churches aren't all that hard to find. 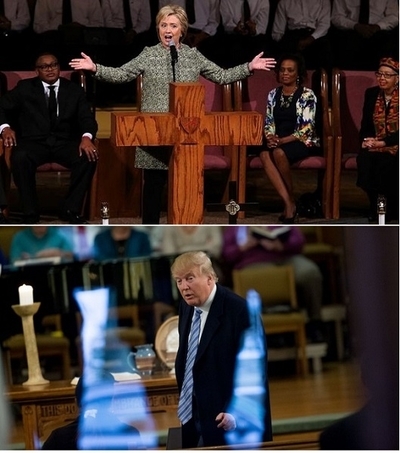 Hillary Clinton and Donald Trump both took their presidential campaigns to Sunday-morning pulpits. Plenty of pastors urged their flocks to vote for — or against — one of the candidates, undeterred by the threat of IRS action. But so long as the 1954 law remains on the books, the threat of persecution is real. When evangelist Bill Keller raged in 2007 that "if you vote for Mitt Romney, you are voting for Satan," Americans United, a prominent advocacy group, urged the IRS to investigate his tax status. Similarly, observes legal scholar Keith Blair in the Denver University Law Review, the Rev. Jeremiah Wright's incendiary political sermons in support of Barack Obama put his church's tax-exempt privilege in jeopardy. Presidents of both parties have used the IRS to harass opponents. Even if the Johnson Amendment didn't raise profound free-speech questions, it would still be a constantly ticking threat, ready to be detonated by any White House with a malicious streak. Charitable groups should again be allowed, as they were allowed until 1954, to decide for themselves what political opinions they wish to express. Do politics belong in church? There will never be a unanimous answer to that question. But on this, perhaps, left and right can agree: The answer shouldn't come from the tax code.